The two filters have the same layout: each has an audio input with level control. 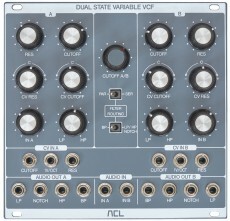 Cutoff and resonance are set both manually and with CVs; the CV inputs feature polarizers for setting modulation intensity, For filter tracking there's an input which tracks approximately 1V/octave. Each filter has four individual outputs for different filter types; low pass, notch, high pass and band pass. A special feature is the possiblity to crossfade the notch from low pass to high pass, creating different timbres and. A shame that this parameter is not voltage controlable. 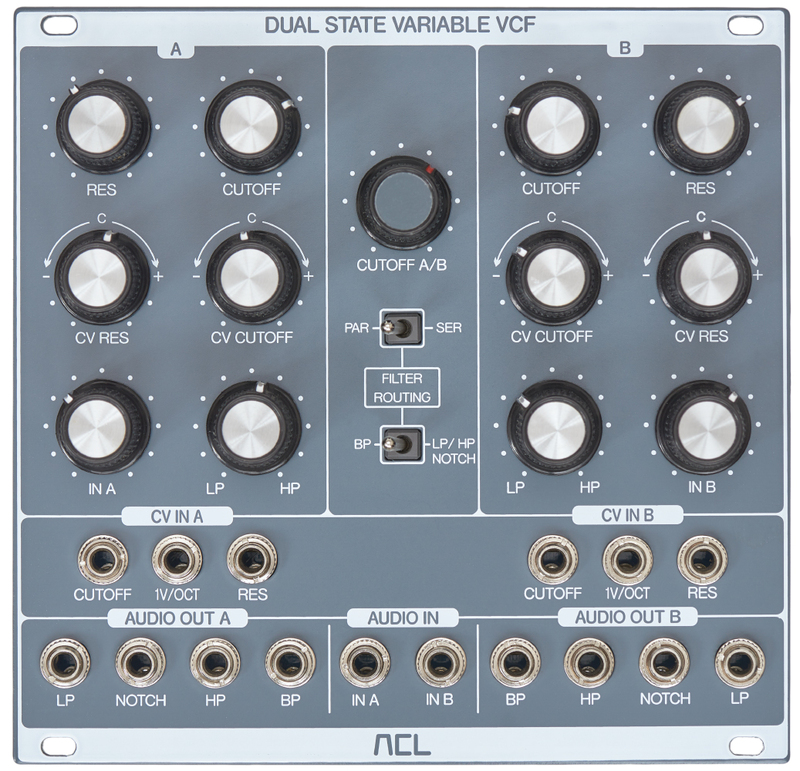 Indeed you can use the filters separately and individually but the Dual SVF offers a number of normalizations for simultaneous control of both filters. 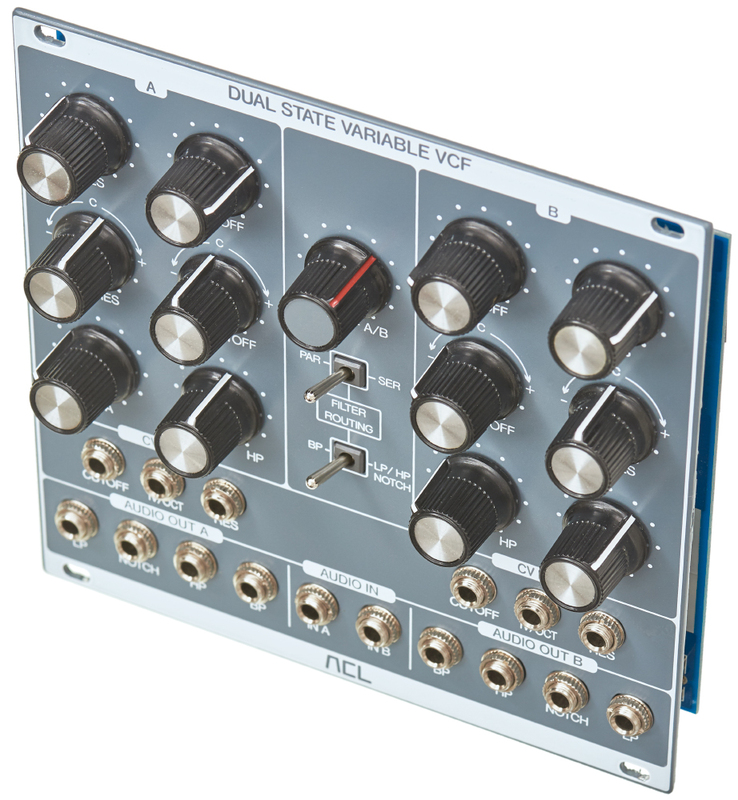 All audio inputs and CV inputs of filter A are pre-patched to the inputs of filter B. 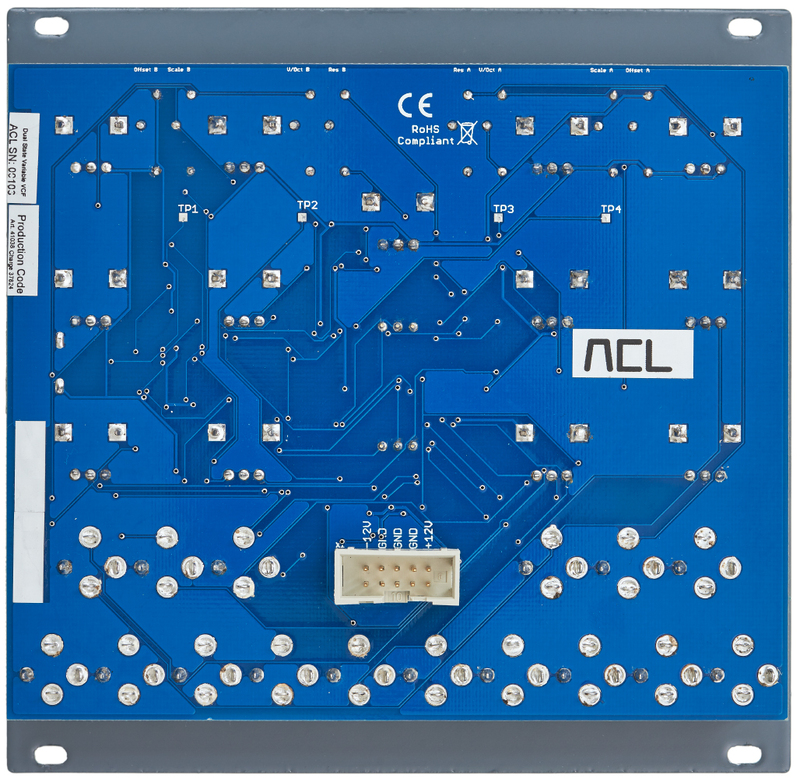 The cutoff frequencies of both sections can be manually controlled at the same time using the Dual Cutoff potentiometer. The signal flow is determined by two switches; the upper switch PAR/SER selects whether the filters work parallely or in series. In latter mode the lower switch determines which output of filter A is routed to the input of B, either the bandpass or the notch (which alllows for selecting low and high pass).